Aerial view of Miami, Florida. Photo: Lance Asper, Unsplash. The 21st century has brought with it a new trend of publishing literature in Spanish within the United States. In the last few years, a certain tendency has been noted toward the opening of independent publishers dedicated exclusively to publishing texts written in Spanish in this country. Latin American authors residing in the United States no longer have to look only towards Spain, Mexico, or Argentina to publish their works in Spanish. 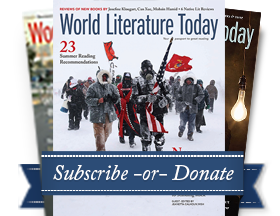 In the same way, journals have emerged and cultural events have been organized that raise up, follow, and are nourished by Spanish-language literary production within the United States. Upon observing this tendency, I began to write down, to document what I was seeing, and to read more published works by independent publishers specializing in literature written in Spanish within the USA. Additionally, since a few years ago I have been speaking at literary conferences and writing about what is happening, which I dare to identify as a phenomenon. This is a literary boom in Spanish, in which as many writers participate as publishers and bookstores, as well as cultural centers and universities. It is a boom that does not pass unnoticed. At this point, I want to underscore that I absolutely do not intend to forget all the production in Spanish that has taken place in the United States during the 20th century. What I observe at the beginning of the 21st century, especially in the second decade, is the imminent burst of poetry collections, novels, short stories, chronicles, anthologies, and literary competitions produced and advertised in Spanish. There are publications on paper and in ebook format, there are book presentations, there are readings, there are reviews, there are newspaper articles, there is movement on social networks. It is a boom but it is a new boom. I call it the New Latino Boom. Despite having been following the trail of this literary phenomenon for several years, it was not until last year that I gave it a name. I did so publicly through my Twitter account, and I used the hashtag #NewLatinoBoom for the first time. The importance of creating a hashtag and of giving it a name lies in the fact that there is still no theoretical body developed around this phenomenon. Until now, few academic articles or essays exist that emphasize in their totality the literary phenomenon in Spanish that is currently developing in the United States. The topic is quickly beginning to be heard at conferences. In short, it is now that criticism begins to emerge. What we do see is a presence in digital media, audiovisual media, and on social networks. Perhaps without knowing it, writers, editors, and social agents began to work as a group to spread the reach and the development of the New Latino Boom. Now then, allow me to define this movement in a concise way. The New Latino Boom is the literary movement in Spanish typical of the United States. Basically, it is the phenomenon, tendency, explosion of literature written and published in Spanish in the United States during the first two decades of the 21st century. Nevertheless, as I see things, this boom will continue into the third. This I say with certainty. On the other hand, it must be underscored that we are in a very different era than the one writers and readers lived in during the Latin American boom of the sixties and, we can also say, during the Latino Boom of the nineties. Now the internet is a tool that makes the distance between writers and readers shorter. The actors of the New Latino Boom make use of the internet in its entirety. Social networks, hashtags, group selfies, and live videos are crucial for authors, publishers, and other agents who take part in the New Latino Boom. The label or hashtag is intrinsic to the name and to the concept. Without the diffusion of literary production in Spanish on the different social networks, there would be no New Latino Boom, or perhaps it would be another movement. Furthermore, and for the purpose of literary critique, now it is necessary to consider how authors, publishers, and cultural organizations express themselves on social media. Not only the -lagging- blogs can form part of the creation of writers; the publications they make on Facebook, Twitters, Instagram and other networks are also key to understanding the entirety of their discourse. Additionally, regarding the topic of publication on paper, the tools of editing that this technological era provides give an advantage to independent publishing houses. Several of such presses that have emerged in the last few years follow the method of publication-on-demand, so that investment in a high volume print run does not pose an obstacle for the launch of a book. The New Latino Boom is defined and built up because each entity, each actor is promoting literature in Spanish in the United States at every level. The publishers are not working in isolation. In an organic way, I would say, a connection is being established among the publishers and writers with bookstores, cultural centers, and universities. Therefore we can see diverse anthologies, encounters, readings and talks, festivals, literary workshops, and more recently, conferences and articles or essays. The press is involved and it makes use of social networks. All of that, altogether, makes the New Latino Boom posible. That being said, within every boom there are actors. It is essential to identify those actors, put down name and surname for the people and spaces that play an important role within this movement. For that purpose, I focus on three cities that have particularly been transformed into sources of creation and pillars of this phenomenon since they have generated several key publishers; I refer to Miami, New York and Chicago. Let’s look at some names and the connection with diverse cultural entities. In Miami we find the house Suburbano Ediciones with Pedro Medina León at the head, forming an editorial committee together with Hernán Vera Álvarez y Gastón Virkel. Suburbano is also positioned through the cultural journal that carries the same name, which is a Pioneer from the southeast of the United States but with reach at a national level. Pereza Ediciones works under the direction of Greity González Rivera and Dago Sandoval y owns a catalogue rich in titles by Latino authors in the United States. Nevertheless, its mission includes the publication of Latin American voices for which reason its collection includes writers that reside outside of the United States. Nagari Magazine, directed by Omar Villasana and with a solid trajectory, is broadening its spectrum towards the publication of longer texts. The Iberoamerican Program of the Miami Book Fair International plays a crucial role in the consolidation of the New Latino Boom. Not only during the month of November, the date when the fair takes place, but throughout the entire year, this organization, coordinated by Mariela Gal, Sergio Andricaín, and Inés Flores and under the motto #MiamiReads, organizes literary and cultural events that seek to promote reading and critical thinking in the city. This cultural agent is one of the sponsors that supports the cultural scene generated by the different actors previously mentioned. Additionally, the bookstores located in Coral Gables, Books and Books, managed by Mitchell Kaplan and Altamira Libros, managed by Carlos Souki, produce spaces where social get-togethers, talks, book presentations, poetry slams, and other cultural events take place. In the Big Apple, Sudaquia Editores stands out. This publishing house, directed by Asdrúbal Hernández under the motto “Nothing like reading in your language,” has a presence in the market with as many authors residing in the United States as outside. Also, since 2017, the publishing house Chatos Inhumanos, whose editorial committee is formed by Ulises Gonzales, Luis Henao, Sara Cordón, Jorge Gárate, and Leire Leguina, is positioning itself as a key point in the literary production typical of New York City. In a similar fashion, the journal Los bárbaros, under general director Ulises Gonzales, is an established voice within the literary imagination of the city. Among the spaces that have been created to give rise to literary encounters are the bookstore McNally Jackson, the ID Studio Theater, the bookstore Barco de Papel, and the Word Up Librería Comunitaria. Likewise, a highly recognized cultural agent in the city and the country is the ViceVersa Magazine, directed by Mariza Bafile. The great metropolis of the Midwest possesses a literary tradition in Spanish that dates back to 1992, when a group of intellectuals founded the journal Fe de erratas. From then on, workshops and various journals have been established by these pioneering thinkers and others that have arrived throughout the years, among whom stand out: Franky Piña, General Editor of El BeiSMan Press and the journal of the same name; Raúl Dorantes y Carolina Herrera, members of the Editorial Committee of El BeiSMan Press; Fernando Olszanski, General Editor of the publishing house Ars Communis; Febronio Zatarain, Om Ulloa, José Angel Navejas, José Guzmán, Juana Goergen, the journal Contratiempo, which boasts a long trajectory; Colectivo El Pozo, and other actors, who have emerged mostly from the Pilsen district of Chicago. There are undoubtedly more actors that have become established or are emerging. There are more people writing and entities working–on purpose or not– for the diffusion of literature in Spanish in the United States. It is imposible to delve into the scope of each one in this essay but I can and I should name a few: Melanie Márquez-Adams, Camilo Pino, Jorge Ignacio Pérez, José Ignacio “Chascas” Valenzuela, Teresa Dovalpage, Carlos Gámez-Pérez, Gabriel Goldberg, Santiago Vaquera-Vásquez, Lourdes Vázquez, Pablo Cartaya, Pablo Brescia, Gizella Meneses, Mónica Prandi, Salvador Luis, Xalvador García, Giovanna Rivero, Francisco Laguna Correa, Luis Alejandro Ordóñez, Azucena Hernández, Ana Merino, Keila Vall de la Ville, Mariana Graciano, Raquel Abend Van Dalen, Oriette D’Angelo, Jennifer Thorndike, Specimens Magazine, El Miami Review, the Koubek Center of Miami Dade College, Las Brutas Editoras, Centro Cultural Español in Miami, Librería Barco de Papel, Letra Urbana, La Nota Latina, Editorial Silueta, Revista Conexos, Mi Libro Hispano, among others. In this new atlas that Fornet mentioned a decade ago, I include the New Latino Boom. The production and publication of literature in Spanish in the United States is not something foreign, it is not something from the north without any type of connection to the rest of the region. Taking into account that this literary phenomenon has been flourishing since the beginning of the century, clearly establishing itself in the second decade, a rich literary fruit exists from which a solid and defining criticism can be established about a new area of Latin Americanist studies. Castillo’s proposal is undeniably connected with that of Jorge Fornet and supports my idea: we must rethink what Latin America means, what Hispanism means, what Latinity means, and from there redesign the Latin American cultural map. I even dare to say that we will be able to observe how the canon begins to change and to incorporate authors who would have been placeless before. The conceptualization of the New Latino Boom and my authorship of this term and other critical articles, in addition to a book of essays that will be published in 2019, are a sample of this process. With this research, I am rethinking what Latin American literature means, establishing a bridge between literary studies in the United States and the rest of the continent. I not only highlight the work of diverse Latino authors who are not studied because they don’t belong to the traditional canon, but I also engage in dialogue about the definition of that canon and the discipline of Latino/a Literature. The figure of the anthology is determinant in the foundation and development of the New Latino Boom. As it is a movement in progress, anthologies become definitive of what could subsequently be called canon. In this particular cultural occurrence, the anthologies themselves are transformed into a symbol of the literary phenomenon. In an anthology of the New Latino Boom, we can observe names of editors that appear in another as writers or as authors of prologues or as creators of blurbs. In short, the anthologies of the New Latino Boom are as telling of the writers typical of this trend as they are formative about what the aforementioned trend means. Fernando Olszanski properly recognizes that “it is in the anthology where one can appreciate a broader variety of topics and styles. It is in the anthology that offers writers of different formations and nationalities where we see the fusion of all the origins of a new transnational being.” This is a new being, a new artistic demonstration, a new tradition that engages in dialogue with that of the United States, primarily in English, and with that of Latin America. Below I include a list of the anthologies that have been published in the 21st century as a reference for future works and, of course, for a pleasant read. Note a couple of anthologies published by Alfaguara, a non-independent publisher; nevertheless, various compiled authors in these books are participants in the New Latino Boom, which I consider necessary to underscore. Se habla español: Voces latinas en USA (2000), Alfaguara. Editors: Edmundo Paz Soldán y Alberto Fuguet. América Nuestra: Antología de narrativa en español en Estados Unidos (2011), Tres Aguas. Editors: Fernando Olszanski y José Castro Urioste. Sam no es mi tío: Veinticuatro crónicas migrantes y un sueño americano (2012), Alfaguara. Editors: Diego Fonseca y Aileen El-Kadi. Trasfondos: Antología de narradores en español del medio oeste norteamericano (2014, 2016), Ars Communis Editorial. Editors: Fernando Olszanski y José Castro Urioste. Viaje One Way: Antología de narradores de Miami (2014), Suburbano Ediciones, Editors: Pedro Medina León y Hernán Vera Álvarez. Nos pasamos de la raya: Textos transfronterizos (2015), Casa Editorial Abismos. Editors: Lori Celaya y R. E. Toledo. Miami (Un)plugged (2016), Suburbano Ediciones. Editors: Pedro Medina León y Hernán Vera Álvarez. Estados Hispanos de América (2016), Sudaquia Editores. Editor: Antonio Díaz Oliva. Simbiosis: Una antología de ciencia ficción (2016), La Pereza Ediciones. Editor: Carlos Gámez Pérez. Diáspora: Narrativa breve en español en Estados Unidos (2017), Vaso Roto Ediciones. Editor: Gerardo Cárdenas. Del sur al norte: Narrativa y poesía de autores andinos (2017), El BeiSMan PrESs. Editor: Melanie Márquez Adams. Pertenencia: Narradores sudamericanos en Estados Unidos (2017), Ars Communis. Editors: Melanie Márquez Adams y Hemil García Linares. Ni Bárbaras ni Malinches: Antología de narradoras de Estados Unidos (2017), Ars Communis. Editor: Fernando Olszanski. I anticipate that these will not be the only anthologies that will stand out. In the same way, more actors and spaces will emerge, in addition to those I mentioned throughout this essay. I do not discern an end for the New Latino Boom soon. On the contrary, I believe that it will continue with a firm path during the next few years. I invite you all to observe the course of this literary and cultural phenomenon and to follow its path. What is coming will be great. Naida Saavedra is a writer of fiction, literary critic, and professor. She is the author of Vos no viste que no lloré por vos (2009), Hábitat (2013), Última inocencia (2013), En esta tierra maldita (2013), and Vestier y otras miserias (2015). Her short stories have been published in different anthologies and magazines such as El BeiSMan, ViceVersa, and Digo.Palabra.TxT. Saavedra holds a PhD in Latin American Literature from Florida State University and does research on Latina/o Literature. Currently, she is documenting the New Latino Boom, the 21st century literary movement in Spanish from the United States. She is presently writing an essay book about this movement, which will be published in 2019. Saavedra lives in Massachusetts, and is a professor at Worcester State University.